What's the best way to get more referral business? It's by writing a thank-you letter. Here's how it works: First, you get a referral. I know — I'm as surprised as you are, but sometimes it happens. Someone liked you, and somewhere down the line they passed on some good words to a new customer or prospect who calls you. To encourage them to refer you again and again, send them a "thank you for your referral" letter. Why? First, your thank-you letter elevates you from the silent majority — you know, the people who never bothered to express their appreciation for receiving a referral. So that got you noticed and placed you well above 99.9 percent of other people who have received a referral from someone who never even said thanks, let alone wrote a nice letter. But kindly note that a phone call to thank someone is not the same. Calling is fine, but when you hang up the phone, you cease to exist. A phone call just doesn't have the impact of a thank-you letter. Whatever you said on the phone fades into the horizon like yesterday's sun. But not a letter. A letter has time to sit on the recipient's desk as a lasting memento of your appreciation. A phone call just doesn't compare to the visual goodwill generated by an appreciative letter. Here's how to get even more business from your thank-you letter. "Thanks for your referral," is the single most valuable letter you can write. "Thank you for your kind referral. I appreciate the privilege to be of service to your colleague. I don't take referrals lightly — or for granted — and assure you I will provide good value ..."
Continuing, "Thank you so much for your referral and your trust." See how powerful this thank you letter becomes. A referral is the truest demonstration of trust a client or friend can show. It's the leap of faith that you'll perform exceptionally well for someone else, even when completely out of view. The person who recommends you puts his own name and reputation on the line for you. Does it deserve a thank-you letter? Yes! Why is your thank-you letter so effective? First, it makes the person feel comfortable with her recommendation of you, because now she knows you're going to do the best job you possibly can for the person to whom she recommended you. She knows you're going to bend over backward to look good, and to make her look good for offering their referral. You can't make her feel this good about referring someone with an ad, brochure or a phone call, but it's easy to do with a well placed and well timed thank-you letter. With a personal letter it's easy to convince someone who has referred you that you really do appreciate the trust he's placed in your you, your products and/or services. You can make him feel, well, like he should refer more people to you, all the time. And therein lies the beauty, the value and the monetary worth in the most valuable letter you can write. The recipient will remember it, and when the opportunity comes up again, he'll continue to refer more people to you. The "thank you for your referral letter" is the best advertising method ever for under 50 cents. You've heard of word-of-mouth advertising as the best (and the cheapest) form of advertising? Well, a thank-you letter is better. It's how you make referrals happen, again and again. And get new business again and again. The thank-you letter is no longer in the "I'll just dash off this thank-you letter" category. 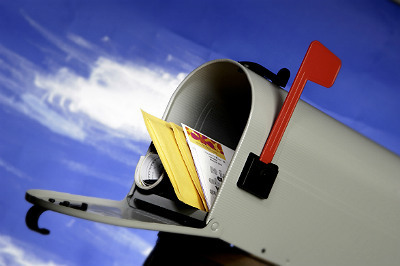 It becomes an art form, your personal ad in the exact form and style of a letter. Make it a great one — well written and nicely designed. Something that will sit on the recipient's desk for a while and make him smile every time he looks at it. What does my office do for people who refer clients to us? We send them a Cross Pen, and of course a wonderful letter with this gift that says thank you so much for your kind referral and your trust. Then we have the recipient's name engraved on the pen. Hey, the only person who wants a pen with my name on it is me! Don't worry, they'll remember where they got it. By the time we ship their new pen to them — and of course our own personal letter of thanks — it costs us about $25. Is it worth it? You tell me. The prospect who received the referral about us trusts us because he or she received the personal recommendation from a friend. If we do any work for the new client, our copywriting and market-consulting fees range from — well, we get our $25 back pretty quick. Many clients stay with us for years. We don't convert all the prospects referred to us into actual rent-paying customers. Some don't need our skills, some aren't ready to launch products just yet, and some are just tire-kickers or fishing. No matter, we still send an engraved pen to the referral source with a nice letter of thanks. They did their part. Funny, the more letters we send, the more referrals we seem to get from the referral source — which we really do appreciate. If you'd like to get more business, write an exceptional "thank you for your referral" letter, and keep it at-the-ready to personalize and send to customers and friends if and when they give you a referral. Hey, it could happen. You can't buy that kind of advertising — that goodwill or trust, or those kind referrals — at any price. Or can you? Jeffrey Dobkin is a copywriter and a funny and motivational speaker on sales and direct marketing. His advertising and marketing agency specializes in creating highly responsive letters, booklets and direct mail. 610-642-1000 rings on his desk. Visit www.JeffreyDobkin.com to learn more.